So I spent yesterday in a room full of female entrepreneurs and businesswomen – some well established and others just starting out or still incubating their dreams. It was an inspiring day, and also an exhausting one. I love the fact that women love to talk and share, which is what this website is all about. I came away with so much information that I don’t know where to start and, as usual, I’m struggling to find the balance between developing this site, which I’m passionate about, and doing work that pays the bills. Fortunately, I had the opportunity to ask for guidance yesterday from women who’ve gone before me – from politicians to millionaire property developers. And that’s also what this site is all about – mentoring, inspiring, sharing and helping each other along. I know women who are stuck, stuck in a job they dislike and fearful about pursuing their dreams or, like me, they’re just starting to develop their passions but they’re held back by fear – of success and failure – or by financial insecurity and a difficulty saying No to work that comes in. And then there are lots of other women out there who’ve made the breakthrough, who’ve overcome a stack of obstacles to live out their dreams and who are working in something they’re passionate about, feeling fulfilled and helping others at the same time. So what if we could connect these various women and learn from each other? That’s what this space is all about. Of course, there are many women’s networks out there – I discovered a few more yesterday and I’ll attempt to share them all on this site – but I’d hope ‘From Forty With Love’, as it develops, would somehow go deeper and provide a platform to discuss and work through some of the psychological blocks that get in our way. In the meantime, I’ll introduce you to some of the women I met yesterday and share some of the snippets of wisdom I heard. But before I do, a word of gratitude. I’m so blessed to have a flow of work that pays the bills (more or less! ), to have discovered something I’m passionate about and to have the opportunity to spend a day like yesterday networking, listening and learning from others. It’s easy for me to gripe that I don’t have enough time to write on this site or that I haven’t found a way of making a decent living off my passion but we all have to start somewhere and it’s worth me noting that I’m doing fine and if I keep on keeping on, working hard and being courageous while practising balance, I’ll get there in the end. But balance is the key and is a tough one to crack – as I’ve discovered today, trying to do too much! So, yesterday, I was at the Women in Business Conference & Expo at London’s Metropolitan University, hosted by Innovate London and organised by the National Black Women’s Network and its social networking site SistaTalk. All of the panelists were pretty inspiring, as were many members of the audience who’d come to listen and network, but I’ve only time and space today to write up some highlights. Meeting Sonia Brown MBE was one of those highlights. 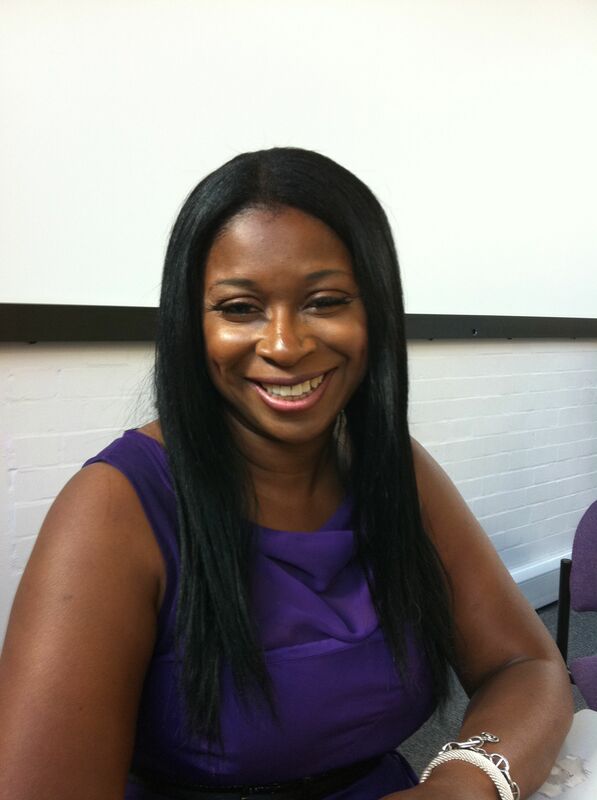 Sonia is the founder and director of the National Black Women’s Network and she also created SistaTalk. She was firing on all cylinders yesterday – exuding energy and inspiring us all to set bigger, better and bolder goals for ourselves. I asked Sonia for some of her secrets of success to include on this site. I’ll write up the full interview when I’ve got more time but here are some of Sonia’s words of wisdom. Another highlight for me was meeting Caroline Marsh, a Zambia-born property investment entrepreneur who took part in Channel 4’s The Secret Millionaire programme in 2008. On the show, millionaire benefactors go undercover in deprived areas of the UK to find ways they can help. Caroline ended up in Toxteth, in Liverpool. I grew up in Liverpool and my senior school was in Toxteth, although I’d won a scholarship to a fee-paying school so my experience of Toxteth was very different to Caroline’s. As schoolgirls, we didn’t get out much to have a look at the deprivation around us but I do remember the riots of 1981. You can see Caroline’s Secret Millionaire experience by clicking on this YouTube link and read an interview she did for the show here. Caroline followed her dreams – starting by defying her Mum and becoming an air hostess instead of going to university, until the company she worked for went into liquidation. 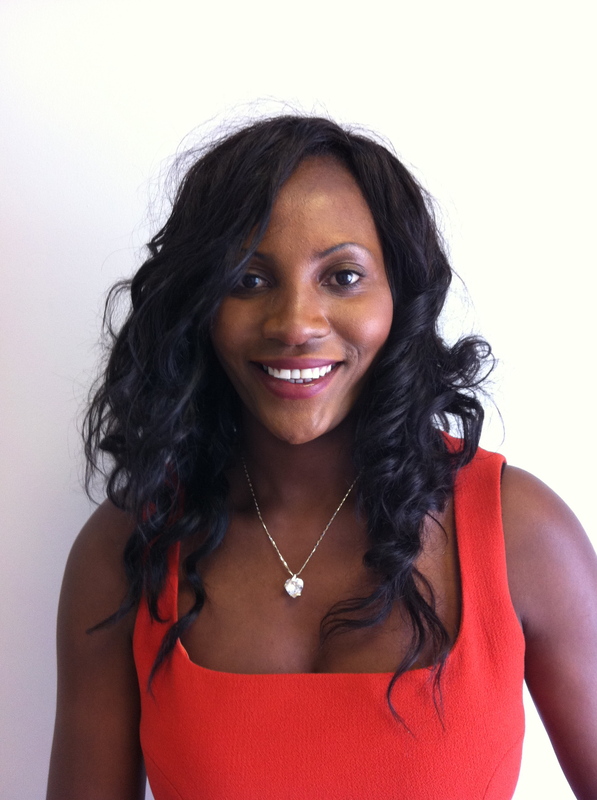 After moving to the UK with her husband, she decided she wanted more for herself and her family so she set about learning about the property business, with extraordinary success. She told yesterday’s conference: “I’m a wealthy woman because of the opportunity of entrepreneurship. I’m a wealthy woman because of my God-given gifts and talents. And I’m a wealthy woman because of my heritage and culture.” Caroline is now using her own business experience and entrepreneurial spirit to inspire, motivate and help others, while at the same time fulfilling her dreams. “Every day I’m grateful for what I have and for the person I’ve become,” she said. Sandy Plange of Enterprising Women – a network of 8,000 female entrepreneurs – also gave some great tips for aspiring businesswomen, not least signing up to the Enterprising Women network, but I particularly took note of two phrases: “Never be afraid to try anything new” and “the Titanic was built by professionals, Noah’s Ark was built by an amateur“. I haven’t time to list all the great things I heard or all the great women I met but I’ll just mention one final speaker: Claire Habel of Inspiring Futures, which aims to help women achieve their dreams through coaching and mentoring. Claire said: “If you can dream it, it can happen” and reminded us to “think big but plan realistically“. However, to my surprise, I was particularly moved by an exercise we did with Claire called the ‘Circle of Success’. We were asked to close our eyes and imagine ourselves sitting at the centre of a circle surrounded by our friends, family members, colleagues and peers. We were asked to imagine we’d achieved our goals or fulfilled our passion and were asked to think what those people around us would be saying. I have to admit, this exercise brought tears to my eyes and really inspired me to pursue my dreams. What if this website or another venture I come up with is successful? What if it inspires or benefits others? What if I find a way to turn my passion into a career that affords me a comfortable life? What if I don’t have to struggle, watch the pennies or worry about the overdraft? This exercise has also prompted me to want to write down my dreams so I can look back, in a year or two, and see if I’ve fulfilled some or all of them. So I’d love, in the future, to be stood at the front of a room full of women – rather than in the audience – telling my own inspiring story of success or breakthrough. I’d love to be inspiring and mentoring others through my writing and/or speaking. I’d love to be leading a balanced life, in which I work hard at my passion but in which there’s also plenty of time for fun, friends, family, travel, exercise and Nature. And I’d love to be a wife and a mother. As I heard yesterday, if you can dream it, it can happen. This entry was posted in Business, Empowerment, Entrepreneurship, Uncategorized, Women and tagged Business, Women. Bookmark the permalink. I just wanted to say thanks for your kind words – it’s great to hear that my talk made such an impression on you! Reading the rest of your article about your experience gave me goose-pimples…I don’t doubt you’ll achieve your dream with passion like that. Thank you for commenting, Claire, and thanks for your encouragement, as well as for all your tips at the conference on Monday. Katherine, I landed on this page following a twit from Clare, whom I met at a Stylist Networking event a few months ago when she was in the middle of starting her business. Unfortunately I haven’t been able to use Clare’s services yet, but I hope to be able to do so very soon, as it will mean that I have finally managed to rid myself of all the paranoias that are stopping me from starting my own business… (believe it or not, I’ve just started my own blog but I am terrified to seed it… how sad is that?). Your article is beautiful and inspiring… I will certainly follow you. Thank you! Thank you for commenting, Elizabeth, and I hope you find some inspiration on this site that will help you overcome those obstacles. You’re not alone with your fears – there are people who’ve gone before us and I believe we can take inspiration and encouragement from them. Congratulations on starting your blog – I look forward to hearing more about it. Hi Elizabeth…great to cross paths with you again. I remember meeting you at the Stylist event last year…19th July if I remember rightly! I’m glad if nothing else that I’ve at least helped you find this inspiring site…it’s definitely one to keep an eye on. The doubts that you talk about when starting out in business are so common and it’s at times like this that coaching is most useful…when you need that non-judgemental support and someone who really listens to what you want and will help you build a plan to get there…at your pace. Don’t hestitate to get in touch if you want to chat more about it. Hopefully you’ll also find lots of words of encouragement amongst these pages too. Hi Katherine..I’ve been immersing myself in your blog (blog doesnt do justice) it really echoes my own personal fears lately and vulnerability I feel of making tough choices now for the greater good in the future.I find alot strength in your words & inspiration thank you for all sharing.